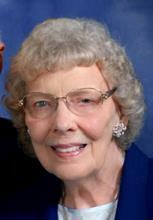 Irene Elizabeth Hopkins, 85, of Conneaut, passed away Monday, August 20, 2018, at the Ashtabula County Medical Center. She was born May 27, 1933 in Cleveland, and was the daughter of Alfred and Sanna Elizabeth (Sippola) Olson. Mrs. Hopkins moved to Conneaut when she was an infant and graduated from Rowe High School with the class of 1951. She was formerly employed by the Conneaut Telephone Company and the Astatic Corporation where she worked to help pay for her children’s college education. She served many years as precinct poll worker. Irene loved her family, enjoyed boating on Lake Erie, camping and mountain hiking in New England, ice skating, music, and flower gardening, and being with her cats Nancy Sue, Binki, and Bindi. When her children were young, she was active in Brownies, Girl Scouts, Cub Scouts and Boy Scouts. Her favorite activity was baking and cooking for her family. She also enjoyed traveling with her husband throughout the United States and Europe, and was fortunate to visit the home where her father was born in Ahus, Sweden. She was a proud member of both the Women of Finnish Heritage and the Finnish American Heritage Association. Survivors include her husband of 62 years, the love of her life Herbert H. Hopkins, whom she married on June 2, 1956; children, twins Susan Diamond of Conneaut, and Stephen (Jackie) Hopkins of Westerville, OH; grandchildren Eric and Chad Hopkins of Westerville, OH; her niece Claudia (Ron) Giachetti of Cleveland; and her nephew Rick (Susan) Olson of Springfield, OR. She was preceded in death by her parents; her son Mark Hopkins; and her brother Richard Olson. Funeral service will be 11:00AM, Saturday, August 25, 2018 at the Marcy Funeral Home, 208 Liberty St., Conneaut, with Pastor Scott Racut officiating. Burial will follow in East Springfield Cemetery. Friends may call at the funeral home from 6:00-8:00PM, Friday evening, and also from 10:00 AM Saturday until the time of the service. Contributions may be made in Irene’s memory to Hospice of the Western Reserve. Envelopes will be available at the funeral home. Sign the guestbook at www.marcyfuneralhome.com.